As I mentioned earlier we use Google Apps for Business for Crunchify.com. Google Domain is a registrar for Crunchify. 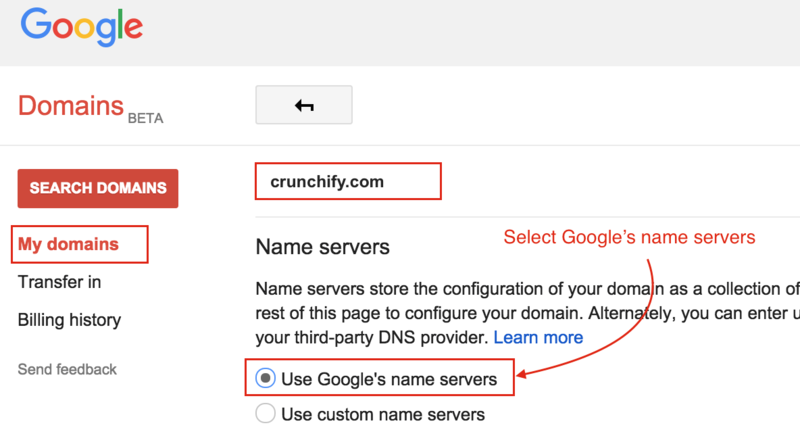 If you have pointed NameServers to Google's name servers then you are all set. 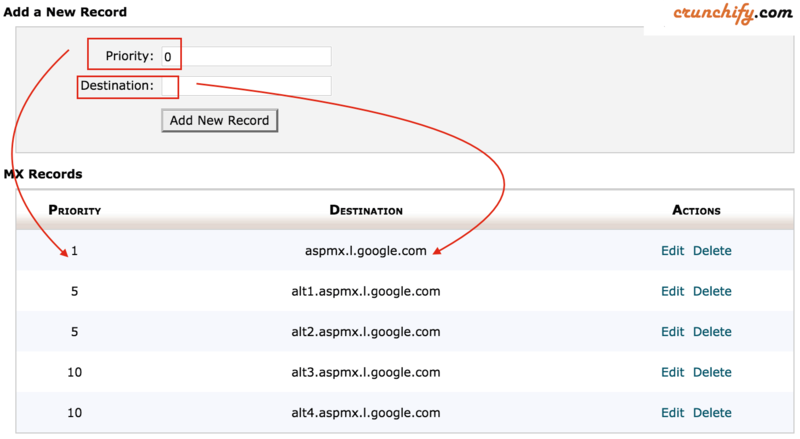 You just have to set Synthetic records to Google Apps and you should be all good. But if you have pointed your Domain to custom nameservers then please follow below steps. 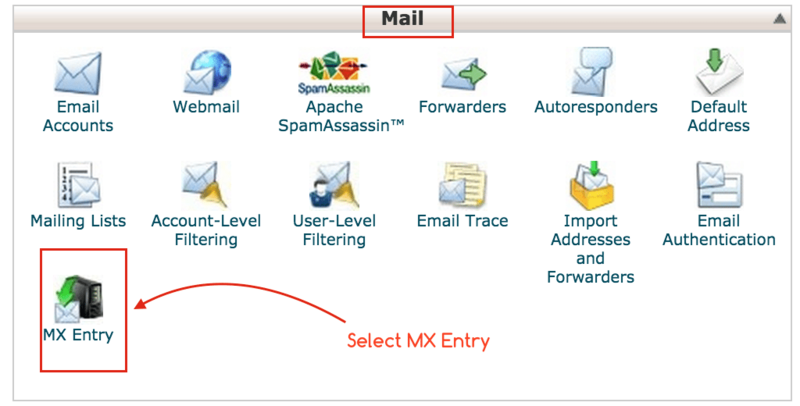 We have hosted our site on Squidix web hosting and in order for email to work correctly you have to setup MX records correct way. Hope you have added your domain to your cPanel as an “Addon Domain“. After that go to MX Entry page. Add a New records with below values. 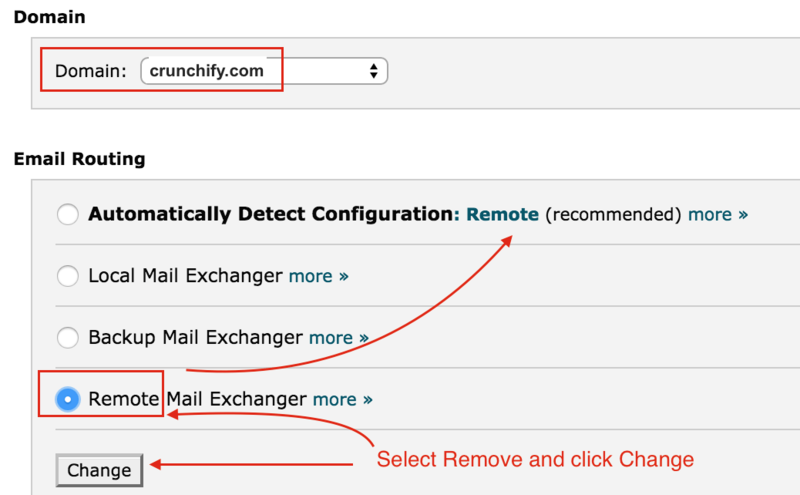 Remove MX record with Priority 0. MX records propagation may take upto few hours.